I always seem to be “a day late and a dollar short” when it comes to holiday themed posts. I know that St. Patrick’s Day is on March 17th, but I think I’m going to take a pass this year for posting wondrous Irish things. If you have an insatiable desire to see these lace beauties, please refer to a previous post of mine here. Lately I’ve been working on an afghan that’s almost complete (yes, really!) 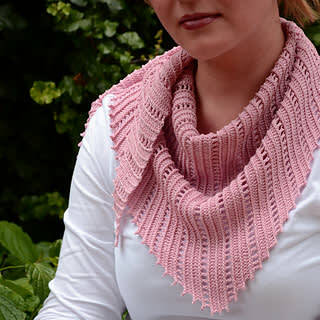 and the Metro Kerchief by Yuliya Tkacheva (see pic below). I love the design of this kerchief, although if you make it slightly larger it would really be a shawlette, and I’m about halfway done. I know, I know – I’m supposed to be designing my own items – but sometimes it’s nice just to go with someone else’s pattern. If I don’t find someone to give this to I’ll probably just list it in my shop. But I digress. 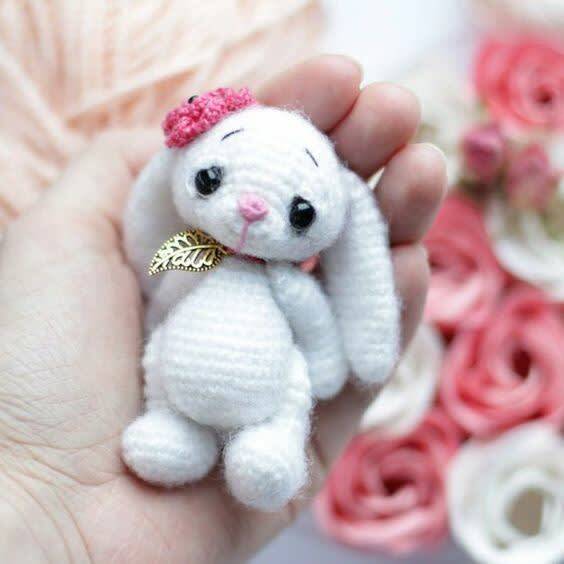 Easter is coming, and I think I’ve been looking at this adorable bunny for so long that I must make her. 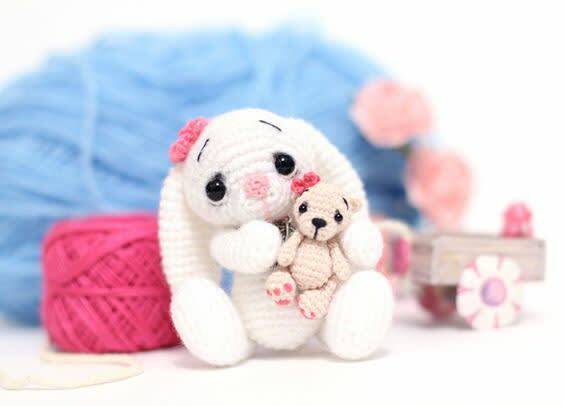 There is no designer listed that I can find, but the free pattern is available at Amigurumi Today. If you are a Pinterest Peruser, I’m sure you’ve come across her – along with a million other items we all would like to make. Well, enough with the talking. I’ve got the yarn – I’ve got the hook – now wish me luck! PS. I want the pattern for that little bear, too!